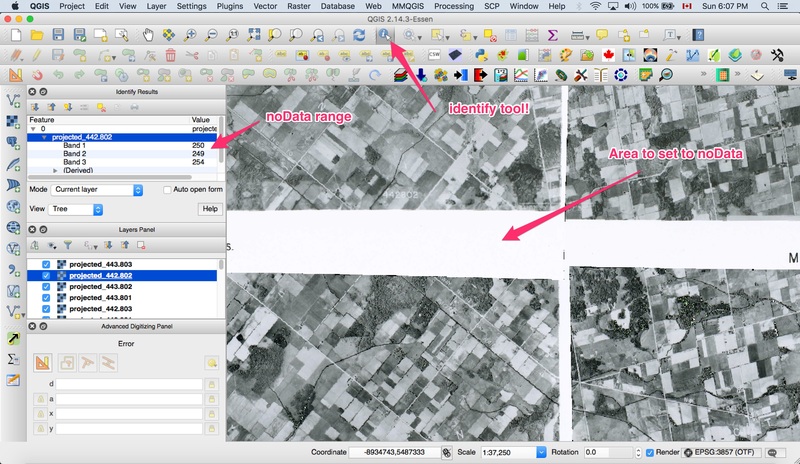 This is the scrappy technical overview of processing the Southern Ontario 1954 imagery. I assume you are familiar with gdal, bash scripting, raster imagery. If you are trying to process similar data and something is unclear, feel free to reach out to me with questions. As you can see you'd have to manually download the files one by one. To circumvent this I found an esri endpoint(which I can't find now..was it taken down, i truly don't know..if someone finds it, please lmk) and sent a query to return a list of the tiles. I piped this tile list into wget(check the '-i' flag in the docs) and switched the tile name in the url available from clicking on a tile on the above map link. Once I had all the data I started by inspecting the the file types, projections, size, etc in QGIS. 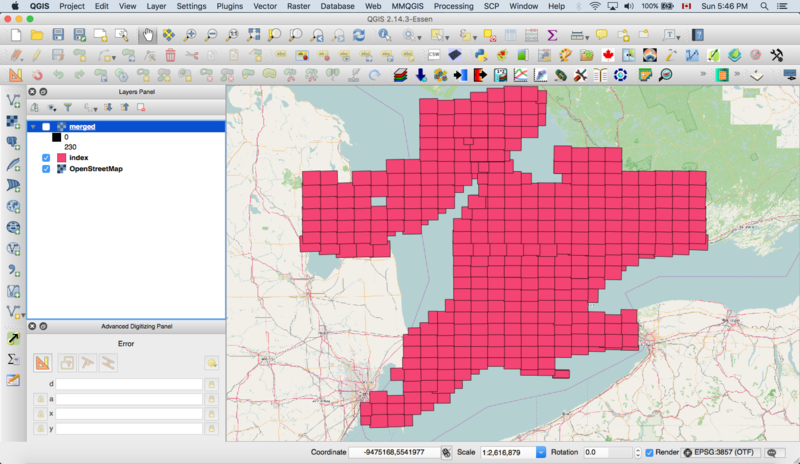 I created a tile index of the raster in QGIS, in order to limit the area of interest and the processing time. After inspecting the imagery, i realized that i had two different file types. One was jpg(Byte - Eight bit unsigned integer), the other JPEG2000(UInt16 - Sixteen bit unsigned integer). I usually work with tiff files, so i first decided to convert the files to tiff. 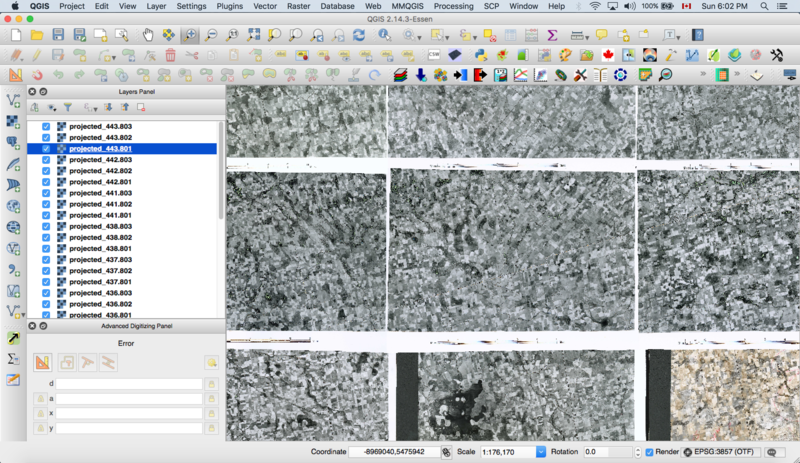 I beleive the jpeg 2000 files are a relic of older aerial imagery methods. The different types of images also follow a stark line going north-south just west of Toronto, which I assume represents two different flight missions. I used gdal_translate to convert the jpg to tiff. I merged all the files into one tiff (not sure if there is a more effecient way to do this, most likely using VRT's. Then tiled the files using gdal2tiles.py. Lastly, I uploaded the tiles to S3, and set the tiles into a map with a mapbox satellite overlay.